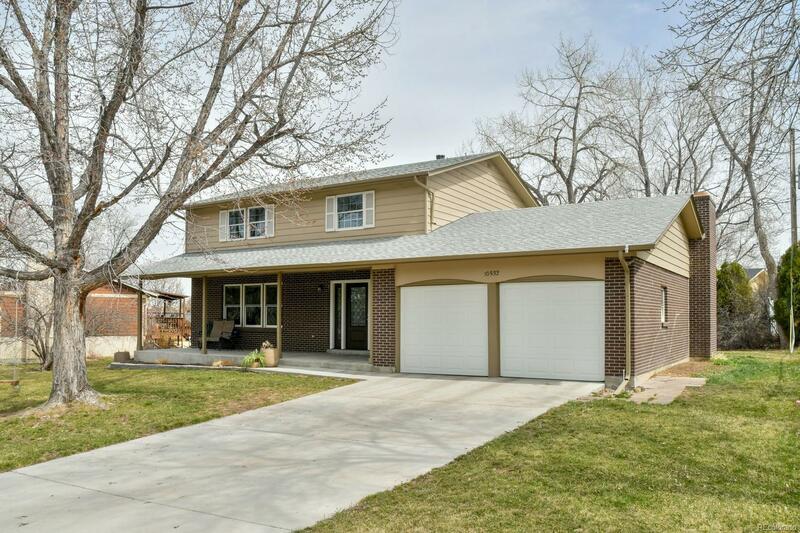 This updated Northglenn home welcomes you with a custom Pella door leading into the open floor plan. Flooded with natural light, you enter into the large living room. As you walk through a substantial dining room into the kitchen and great room make sure you don't miss the over-sized pantry, granite counters and stainless appliances. When you head upstairs you'll find 4 spacious including your master suite as well as a full bath.. Downstairs you have plenty of extra living room as well as a 5th bedroom complete with egress window and a 3/4 bath. This large lot boasts a smart Rainbird controlled sprinkler system and is just minutes from parks and recreation. There's nothing left to do in this home with an updated sewer, radon mitigation, and upgrades throughout except make it your own. This property is close to dining, shopping, and entertainment with easy access to I-25 and highway 36.